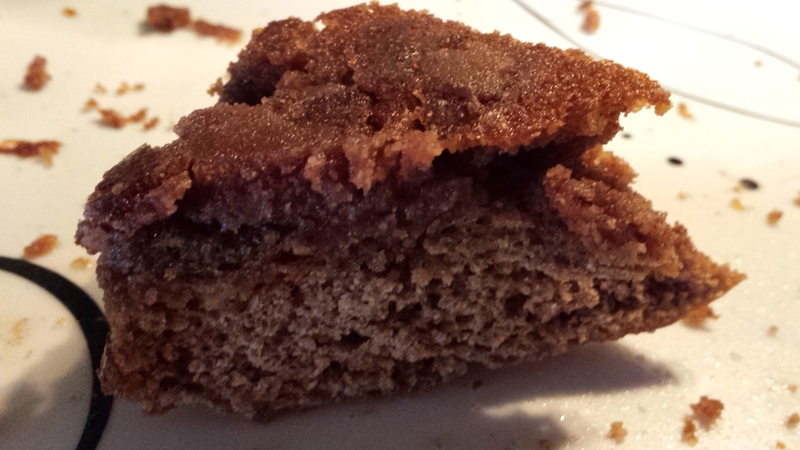 COFFEE CAKE (Paleo & Gluten –Free) Serves about 9. Preheat oven to 325 F and adjust rack to middle position. 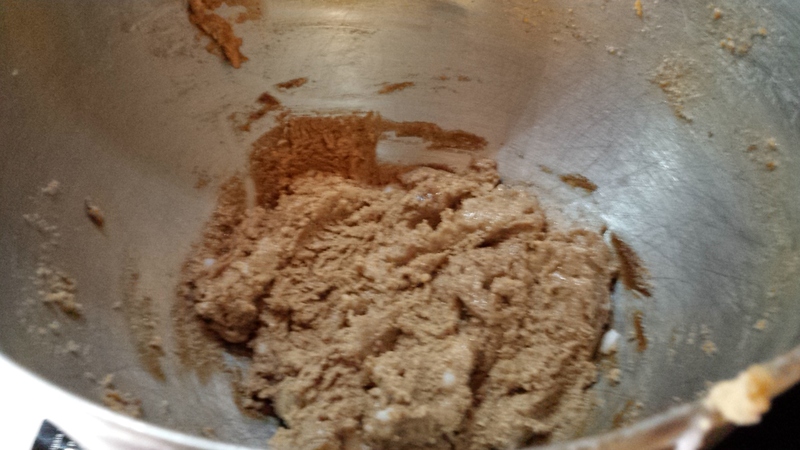 Clean your batter bowl and place nuts in food processor and pulse till coarsely chopped. Add last 3 topping ingredients. Pulse just until combined and ingredients bind together. I mixed mine too fine; it’s better coarser than mine. 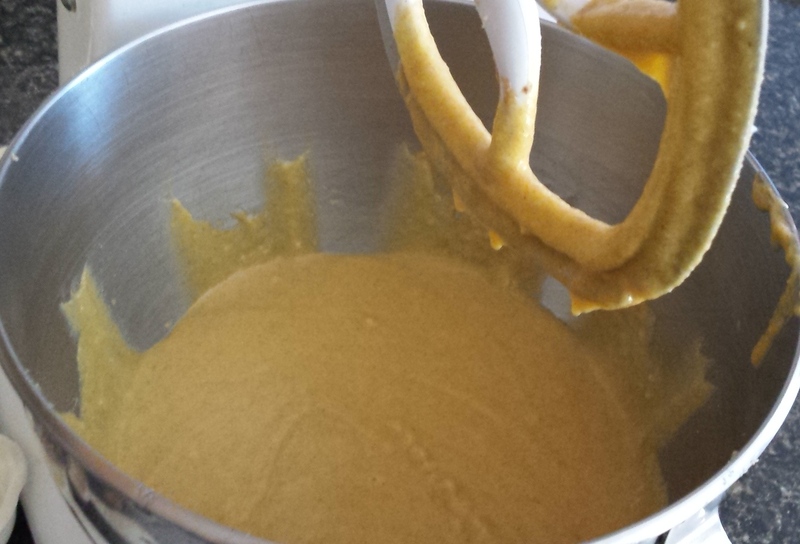 Drop spoonfuls of batter into batter and using a butter knife, swirl topping into top layer of batter. Bake for 45 minutes or until golden brown. Cool for 20 minutes. Be careful when removing from dish. You may have to go around the edges and under with a spatula before removing. Sorry, this is all that’s left…forgot to take a picture before. 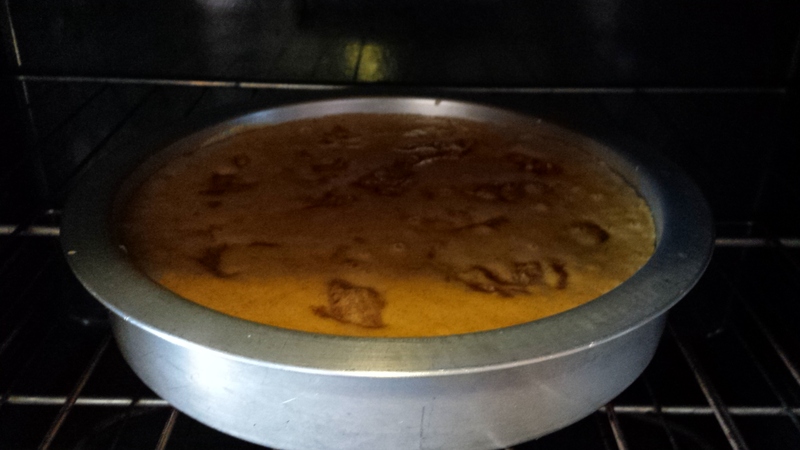 My topping mostly sunk to the bottom (Probably because I doubled it) so I just left the cake upside down. Cut & serve right away. Best when eaten the day it is made. Enjoy! 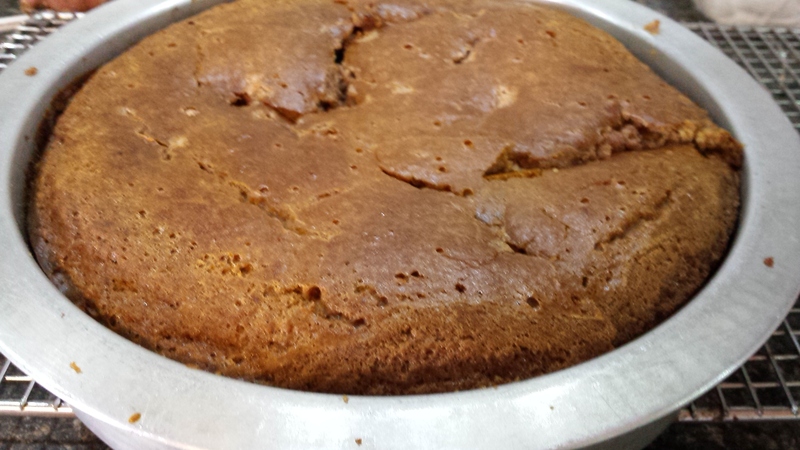 *The first time I made this I used an air bake aluminum cake pan and just used oil…my cake STUCK a lot. The next time I used a glass 8 X 8 baking dish, oiled and floured, MUCH BETTER! **Sometimes, okay MOST of the time I double the topping recipe.